Post Graduate Degree in Related Subject with 55% Marks and OBC, SC, ST Candidates : 50% Marks. Commerce, Chemical Science, Defence & Strategic Studies, Economics, English, Geography, Hindi, History, Home Science, `Law, Life Science, Mathematics Science, Music, Philosophy, Physical Science, Political Science, Urdu, Sociology, Sanskrit. Bhopal, Indore, Gwalior, Ujjain, Sagar, Satna, Rewa, Jabalpur. 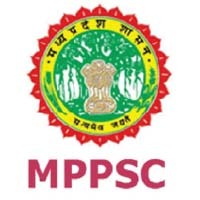 Examination Controller (SET), State Eligibility Test (SET Cell) Madhya Pradesh Public Service Commission,Residential Area, Indore MP Pin Code 452001.